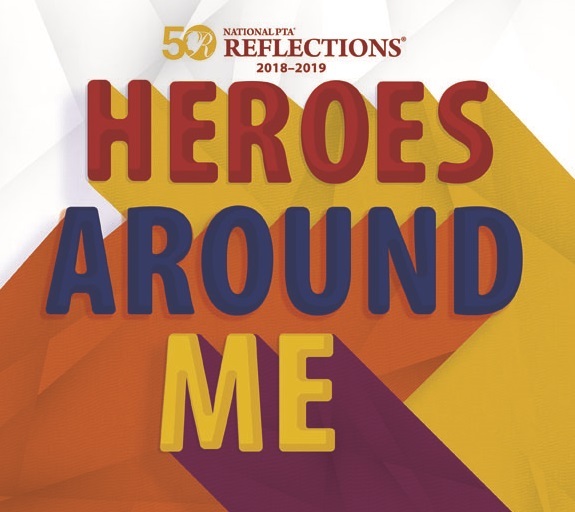 The 2018-19 Reflections theme is “Heroes Around Me"
The Reflections Program is a National PTA and Washington State PTA cultural arts competition. The purpose of this program is to provide an opportunity for students to use their creative talents by expressing themselves through their own original works. Fairwood PTSA is sponsoring children from our school to participate in this annual national cultural arts competition. Entries that do not conform to the National PTA Reflections Rules will be disqualified. Reflection Workshops - Mark your calendar for 10/17 and 11/7 before school workshops in room A3, more details to come. All student entries are due by November 21, 2018. Please make sure entry forms are completely filled out and work is labeled as specified.